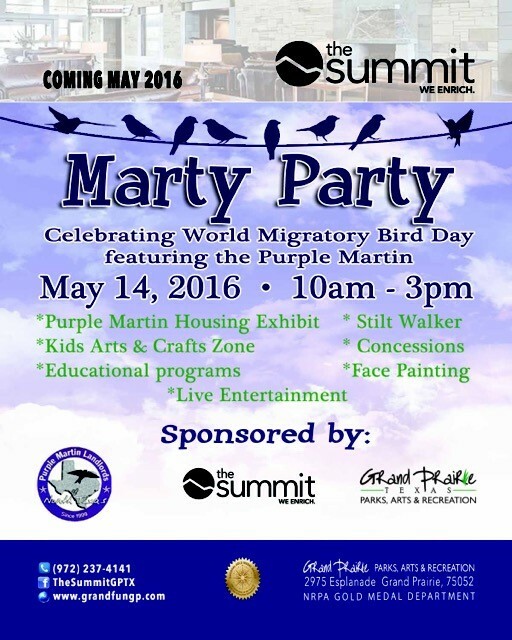 The mayor of Grand Prairie, Mr. Ron Jensen will declare Saturday, 14 may 2016 "WMBD - Purple Martin Day" in our city. We are honoring our migratory birds the "Purple Martins" at their Sanctuary Site in our Central Park. It will be a festival with lots of education and entertainment for the whole family.